Limping his way towards the door of a van stationed outside Chhatrapati Shivaji Maharaj Terminus (CSMT) railway station, 28-year-old Mohammad Ashraf, a ragpicker from Wadala, greets a man standing inside the van who hands him a plate of rice and dal. Later, some more ragpickers and homeless people queue up near the van, seeking food. 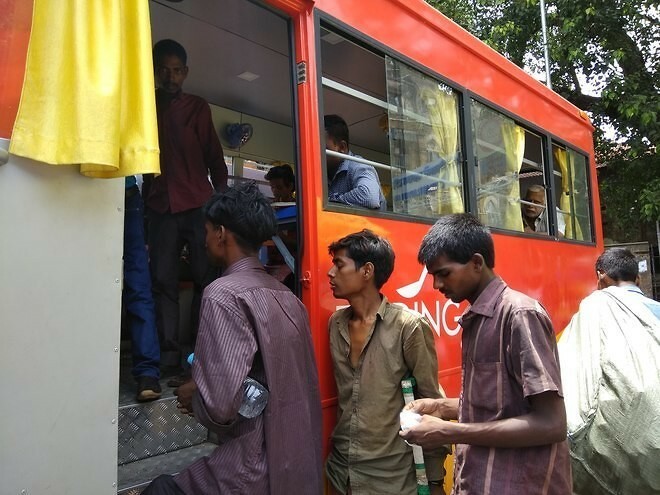 The 'Feeding Van' travels from CSMT to Byculla from Monday to Friday, providing free lunch not just to the homeless but even drug addicts who struggle to earn their daily bread.